DisclosuRE: we have been compensated to help spread the word about Big Daddy Biscuits. 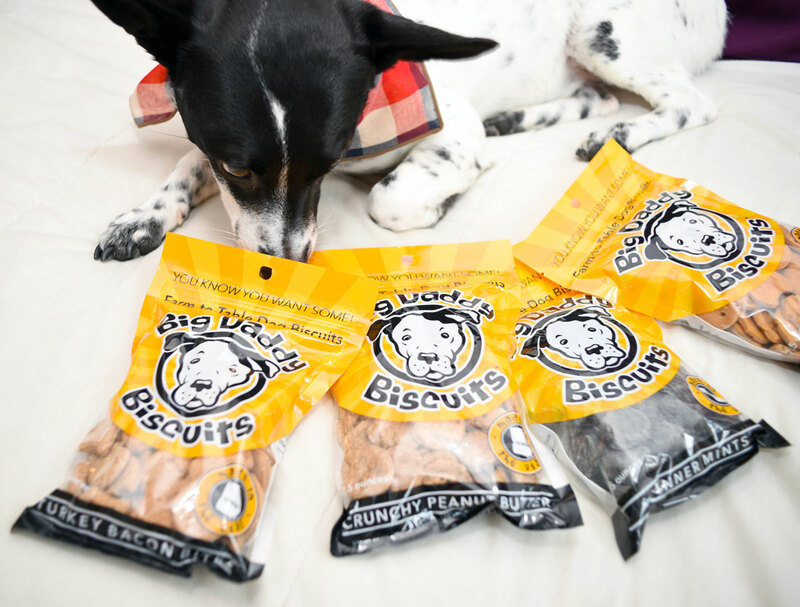 Big Daddy Biscuits makes delicious, healthy dog treats in Atlanta, Georgia — but don’t take it from me, take it from Big Daddy, the namesake behind the company! 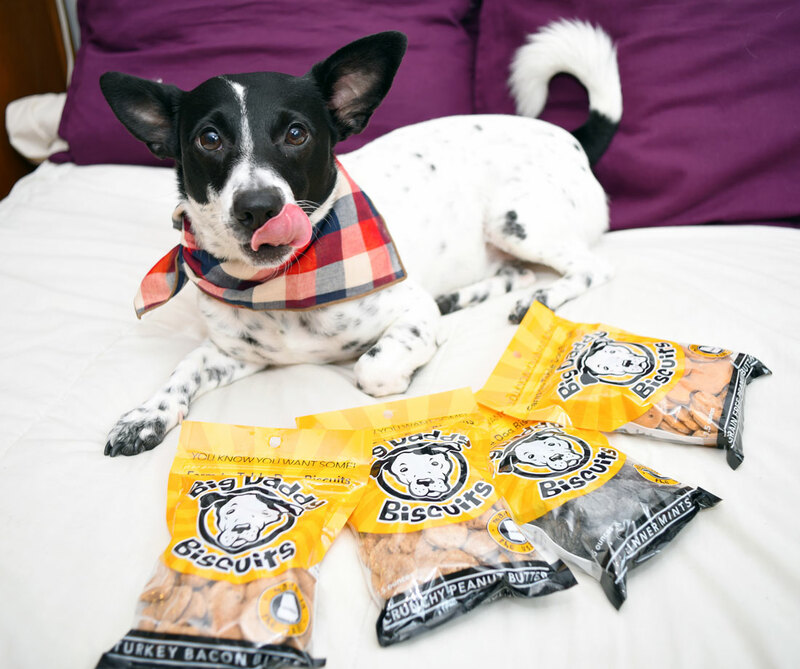 We interview this cutie about his treats, the process, and his Big Mama. Check it out! Atlanta, GA in a wonderful neighborhood East Atlanta Village. so many great dog parents around. It is just a shame that I can’t meet since I am blind….and a senior. Mom wants to keep me safe. After Big Mama left her job at Delta Air Line Global Services in 2008, she found her calling at a dog biscuit womanpreneur. She was hanging out with our niece and nephew, Shana and Kenny, they suggested that she start a dog biscuit company and name it after me, Big Daddy. Big Mama went out the next day and bought a mixer and started making biscuits. Now you must be thinking, “is she a baker?” NEVER and she did not look back after starting. Big Mama works hard to make sure that the dog biscuits that she makes are the best. 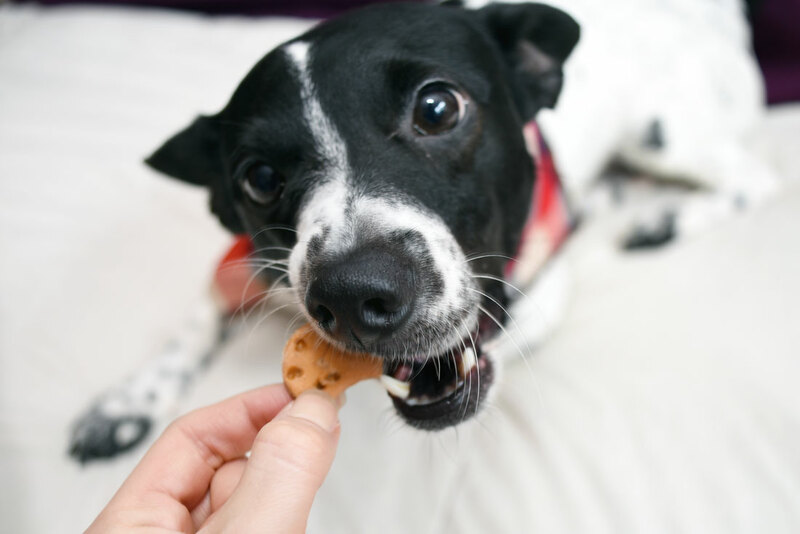 We call ourselves a non-discriminatory dog biscuit company so that we are able to give all dog have a choice of what we are doing. Henry checking out his Big Daddy Biscuits! We make all natural and organic dog biscuits. Two flavors are grain based (Crunchy Peanut Butter and Turkey Bacon) and two are grain free (dinner mints, that help with bad breath and farties as well as, grain free peanut butter. Our dear friend makes our dog soap. 100% essential oils. We also have great signs with sassy quotes on it. These are handmade by us as well. Of course, she does. Me, Big Daddy. I am the name behind the business. My face is on the bag. Big Mama rescued me and we pretty much saved one another. The timing was perfect for the both of us. Big Daddy and Big Mama. Photo courtesy of Big Daddy Biscuits. Big Mama, Lauren, is a pretty amazing lady. She get me comfy bed, yummy food and all the love a dog could ask for after the life I had on the street. Randy helps Big Mama make the biscuits and he is funny. Whenever he comes over, he gives me lots of lovin’ and talks in this silly voice. We have a crew that works our farmers’ markets. Emily (she has been Big Mamas friend a very long time) used to bake the biscuits, help bag them as well as still working the markets. I give her lots of kisses when she comes over. That the dog biscuits that we make are made with lots of love. That we appreciate all the love and support we have and think you pups would love. Dogs are easy to make happy. 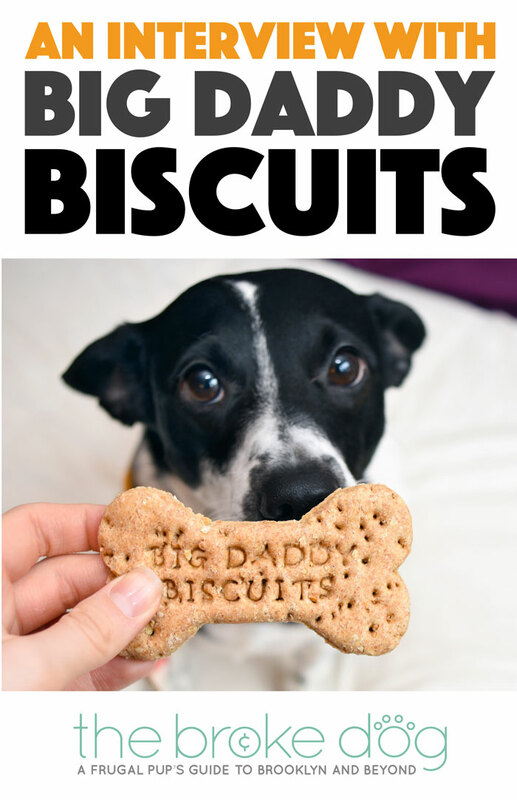 I would suggest to get a bag of our amazing dog biscuits, take on a longer walk and belly rubs….extra treats always works as well. Save 10% on your order of $25 or more at Big Daddy Biscuits with code BIGMAMA!